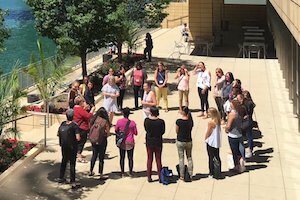 Big Ideas in Early Learning offers a one-of-a-kind experience, drawing together professionals from various disciplines in the field of early childhood education for a 3.5 day exploration of the Big Ideas that bring them together in their work. 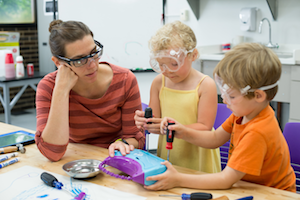 The Big Ideas in Early Learning summer institute is open to teachers (preschool through second grade), teacher assistants, school/center administrators, and classroom coaches. 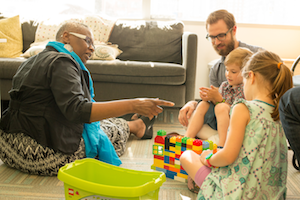 Each day, these separate tracks will gather to explore the connections between their discoveries, making classrooms more meaningful for young children and their teachers. Included as part of the institute are an opening reception the evening of Tuesday, July 15, and a fun group excursion in Chicago the evening of Wednesday, July 16. Breakfast and snacks will be served daily. When participants register, they will choose one learning track. They will meet with this track each day of the event. If a participant's desired track is marked as FULL, please choose another track. 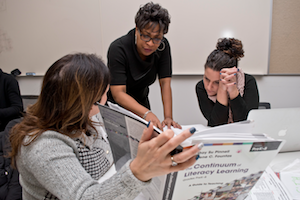 As educators, we are experts at reading the cues of children and responding. Reading the cues of adults—parents and even our own colleagues—can be more challenging! We can find ourselves reacting in team meetings or in a parent conference instead of reflecting and responding. In this track, you will become skilled in the FAN (Facilitating Attuned Interactions), a conceptual model and practical tool for communication in relationships and reflective practice. You will learn how to read the subtle and not so subtle cues of adults and use the FAN as an internal GPS to help you match your communication to where the parent or team member is and move toward collaborative problem solving. You will learn how to strengthen relationships, repair miscommunications and use Mindful Self-Regulation to track and regulate your own reactions to stay calm and think clearly. The FAN also provides reflective questions to structure parent conferences and group meetings and serves as a guide you can use for individual and team reflection after action. Experience the “top tour in Chicago and one of the top ten tours in the U.S.” according to TripAdvisor users. The Chicago Architecture Foundation River Cruise is a must for out-of-towners and Chicagoans alike. CAF-certified volunteer tour guides—called docents—interpret more than 50 buildings along the Chicago River. You’ll find out how Chicago grew from a small settlement into one of the world’s largest cities in less than 100 years. In 90 minutes, get the real story on Chicago architecture and its history. The best part? This cruise is only $12 for each of our guests! Big Ideas in Early Learning is open to the public, and is designed specifically for educators working with young children from PreK to 3rd grade. The four-day Summer Institute will have an early bird registration of $850 before March 15, 2019 and regular registration of $925 after that. Registration will close on June 26, 2019 or when we hit full enrollment. The fee includes all workshops and plenary sessions, breakfast each day, supplemental materials, and access to special online videos and materials after the event. Participants will receive materials relevant to their content area, which may include books and other items. Lunch will be served Friday, July 19, and a reception is held the first evening of the series, with catered food and beverages. How do I get there and what hotel should I stay at? All sessions will take place at Erikson Institute in Chicago, IL. You can visit the Location page of Erikson's website to get information about Hotel, Parking, and Directions. There are many hotels within blocks of Erikson Institute. A detailed schedule will be emailed to participants prior to the event. Generally sessions begin at 8:30AM and end at 4:00PM, with scheduled breaks and an extended lunch break each day. On the last day sessions end at 1:00PM. Do you have group rates for registration? Yes. If you would like to register more than three people to attend the event, please contact [email protected]. 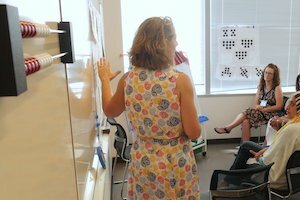 Do you offer professional development credit for time spent at the Summer Institute? We will provide a certificate of completion that states total contact hours. State requirements vary, so please feel free to contact us if you have further questions: [email protected]. Yes. Refund requests must be made in writing to [email protected] on or before June 1, 2019. A $50 cancellation fee per individual will be deducted from any refund request received on or before June 1, 2019. After that date, there will be no refunds of registration fees but transfer of registration to a colleague can be arranged before June 26, 2019.